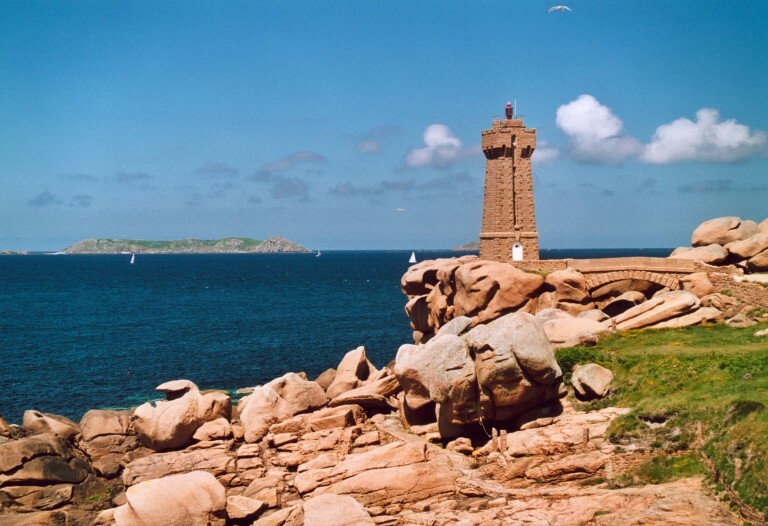 A 90 kms west seaside resort, Marina 20 km of coastline in the sea pink granite rocks carved by giving them unusual shapes, Make a detour PLEUMEUR–BODOU, important station Telecommunications. 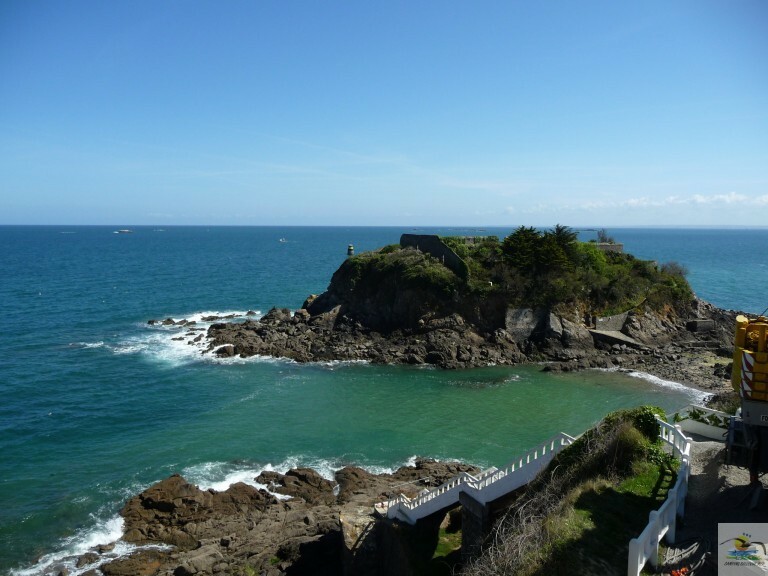 A 43 kms – Cliffs of Plouha, the highest in Britain – protected site – Discovery Trail – Port Gwin Zégal with his boat mooring on wooden stakes. 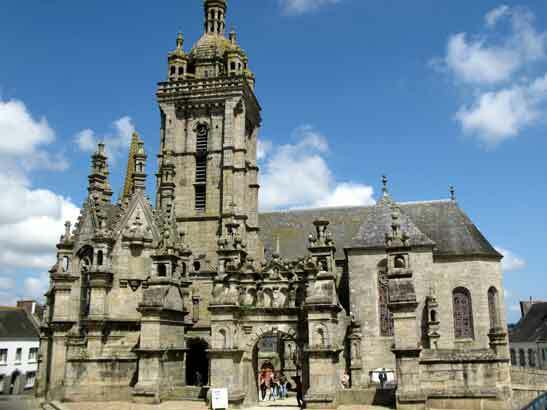 Birthplace of many Celtic legends, Forest Huelgoat, or “Breton Fontainebleau,” is best known for curiosity and the beauty of its rocks, a pile of blocks rounded to the chaotic arrangement that inspired many stories. 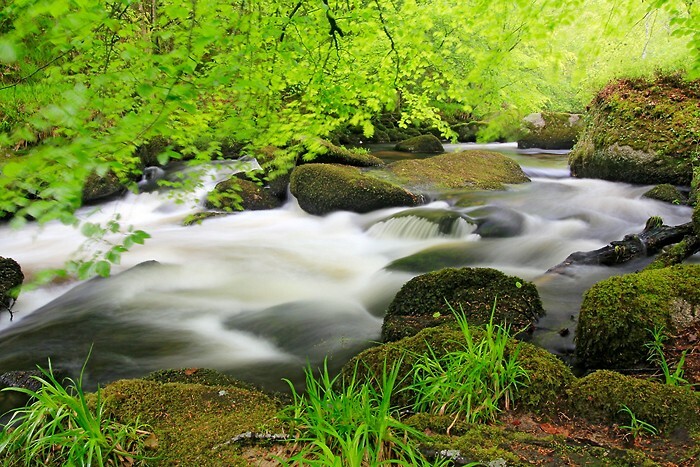 Y also winds the Silver River, domain fairy Huelgoat. 100 kms. A 54 kms -Magnificent fortified castle of Roche Jagu is a XV century building, overlooking the valley of Trieux, its river port, and finally the famous 54 laundries restored …. 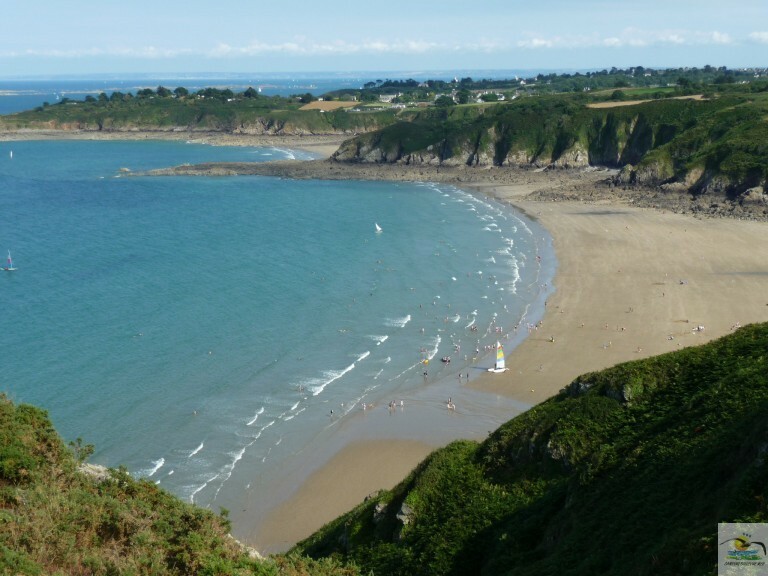 The coastline of Tréveneuc is characterized by high cliffs which the tip of “Bec Vir” with view over the bay of Saint-Brieuc, and several beaches and strikes. 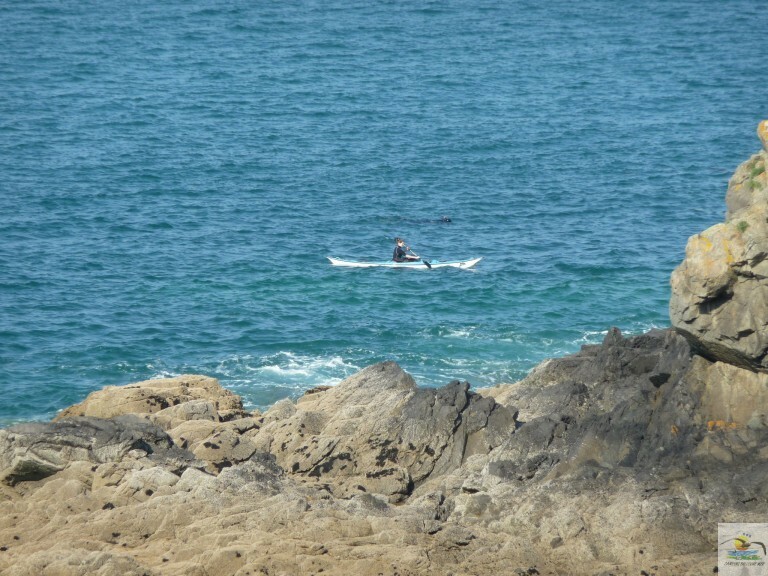 A great place for sea kayaking. The parish enclosures constitute a unique architectural ensemble in France, consisting of a church, a wall (hence the name), a monumental portal or triumphal arch, a calvary and a ossuary. At 35 kms – Important tourist resort – Fishing port and marina in deep water – Beautiful panorama of the ancient coastal footpath – Viewpoint – Semaphore. 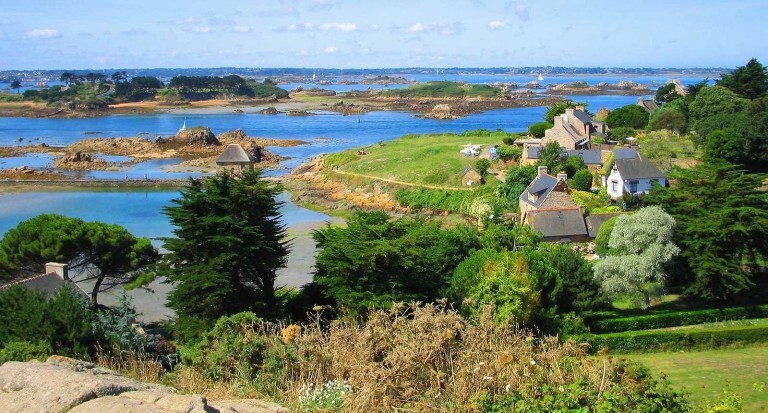 A 66 kms – Small island of 3.5 km long by 1.5 km wide – this paradise enjoys a microclimate very pleasant to explore on bike or on foot (no cars) – 10 min crossing. 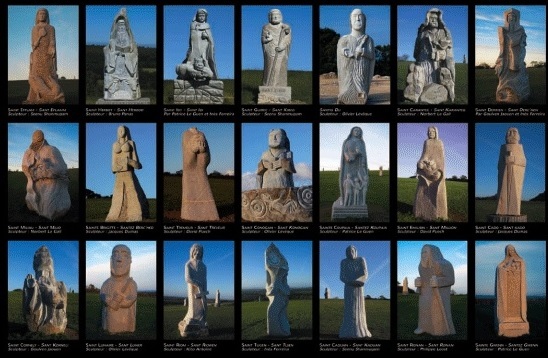 The Valley of the Saints (Traonienn ar Sent in Breton) is a French association with a project of monumental statuary established in Britain. 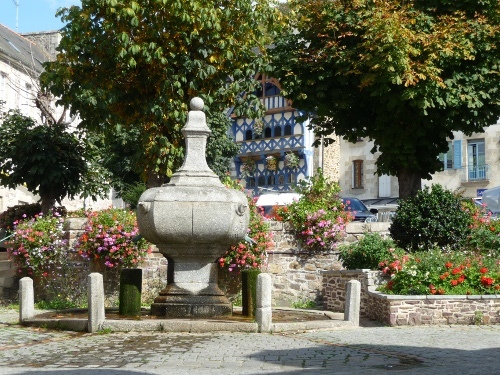 The idea behind this project is to achieve a “Breton Island Easter of the Third Millennium“, a place of spirituality honoring Breton collective memory, which is designed to accommodate large granite statues (about three meters height) with the effigy of 1000 Breton saints (which are represented with a face and their attributes).